We are very proud of the team at Learning Academies and feel privileged to be working alongside a very talented and dedicated group of people. We value the input and skills of each and everyone of them. As a team we are all committed to exceeding your expectations – at every step of the iAchieve journey. We aim to exceed your expectations from your first contact with Learning Academies right through to the time when your child has achieved their goals and is ready to move on. 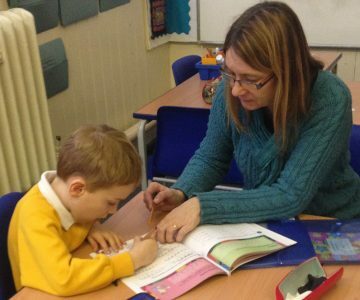 You can be rest assured that your child will be supported by an inspiring and talented iAchieve Tutor. We have carefully, hand picked our tutor team and you can be confident that whoever your child works alongside they will not be disappointed! They bring with them a wealth of current experience, a wide range of teaching and tutoring qualifications and, most importantly, the ability to inspire and engage. As a parent to three young boys Sacha is well aware of the challenges that parents face in supporting their children through school. She founded Learning Academies Ltd as a direct result of identifying the need for an effective, high quality, extra tuition programme, that focused on supporting children and young people to achieve not just their academic best but also their personal best. Her work as CEO of Learning Academies brings together her extensive experience gained in both the Education and Business Sector. Having completed her Post Graduate Certificate in Education, Sacha worked as a Primary School Teacher before taking up a Travelling Fellowship in North America with the Winston Churchill Memorial Trust, researching international approaches to drugs and health education for young people. She followed this up by working with a range of community organisations and professional sports clubs in Australia, New Zealand and the South Pacific, once again focusing on community youth education sector. She moved back to England in 2001 taking up the newly created role of Education Director at Ipswich Town Football Club, working alongside colleagues to secure funds to establish and run 3 new Study Centres across the county of Suffolk. She co-founded the Ipswich Town Community Charitable Trust, The IT Learning Zone, Oulton Broad Water Sports Education Centre and The Winning Post at Newmarket Race Course, before going on to work as a business consultant supporting organisations across the East of England. She recently gained her Masters degree in Education and is a qualified Head teacher, specialising in critical friendship and mentoring. As CEO of Learning Academies, Sacha has responsibility for overseeing the strategic direction of the company. On a personal level, Sacha is proud to be a Family Ambassador for The Sick Children’s Trust and a medic for British Divers Marine Life Rescue as well as a keen amateur photographer. Matthew joined the Learning Academies team full time in August 2013, following a very successful headship in Suffolk. He has taught across all phases of education over a 20 year period in schools. 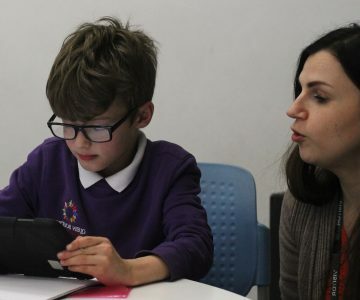 Teaching and leading across all key stages, has provided Matthew with a unique experience of educational provision for children and young people between the ages of 3-19 years. His experience of working in both the mainstream, private and special school sectors allows him to bring a diverse set of skills to Learning Academies. 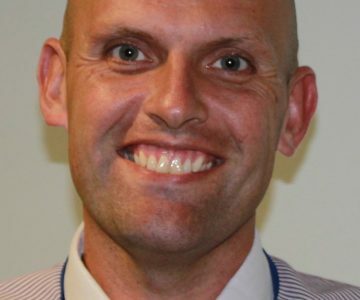 For the last 11 years Matthew worked at Thomas Wolsey Special School and his Headship at this school has given him a wealth of expertise around Special Educational Needs. He is keen to ensure that Learning Academies is accessible to all. Matthew expects the very best opportunities for all children and that every child should have high aspirations and a curriculum that fits their needs. 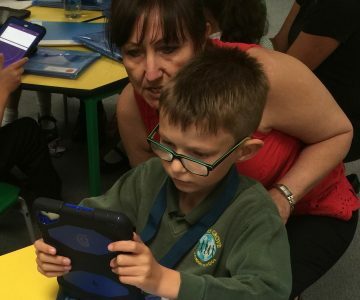 Matthew is also keen to embrace new technologies which, if used correctly, can inspire and engage children making learning fun and enjoyable. Gemma graduated with a 2:1 (Hons) degree in German Studies, extending this to secure her Advanced TEFL (Teaching English as a Foreign Language) qualification and her Extensive Secretarial Diploma. Gemma has gone on to have a successful career combining her language and business support skill, holding a range of positions in organisations such as the Newlyn Art Gallery and The Tate, Cornwall. She is an experienced finances and accounts manager as well as an Online English Tutor, having working with students from across the world. Gemma has experience of Health and Safety Co-ordination, risk assessments, bookkeeping, recruitment and marketing and has an excellent knowledge and understanding of ISO9000 compliance. 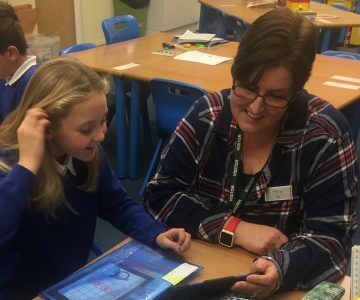 Sally is a highly experienced and skilled teacher who has a unique ability to nurture her students at the same time as challenging them and encouraging them to set aspirational goals. Prior to joining the team at Learning Academies she was teaching at the British International School, Shanghai, China working with children from 5 to 16years. Sally is a key member of the team at Learning Academies and has recently taken responsibility for the iAchieve Saturday School and Essex University. 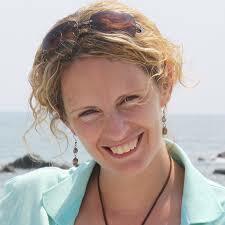 Her reliable and insightful approach is highly valued by the tutors and students alike. When not busy teaching or caring for her family, Sally enjoys travel and using her language skills. She is fluent in German and French - as well as being able to communicate in Mandarin! "Sally is a very talented teacher. She has a calm approach and an exceptional subject knowledge. We're very fortunate to have her as a key member of our team." You will struggle to meet a more positive and cheerful tutor than Laura! As a qualified and highly experienced teacher she brings with her a wealth of current education expertise. Her ability to engage her students is first rate. She sets high expectations for each child and has the ability to challenge in a positive and supportive way. 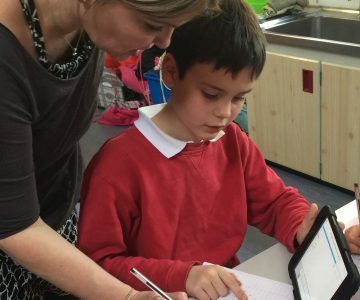 Laura has an innate ability to know find the perfect balance between nurturing her students and facilitating the skills needed to become independent, assertive learners. "Laura is always in a good mood. She is a happy teacher and I enjoy my time with her. She told me that I am good at maths and now I am. I think that working with Laura has made me believe in myself and not to be scared to say when I don't understand things. I wish she was my teacher at school too!" Sarah is a well qualified and highly experienced teacher. Her enthusiastic and fun personality, combined with her natural creative flair make her a remarkable and talented teacher. As a mother to two young sons she is well placed to empathise with the challenges of parenting and she uses this experience to complement her teaching. Sarah has worked for a number of education companies, developing inspiring resources that help to make learning fun and interactive. "The first word that comes to mind when I think of Sarah is capable. Highly capable! She is a such talented teacher and her expectations of the children are consistently high. 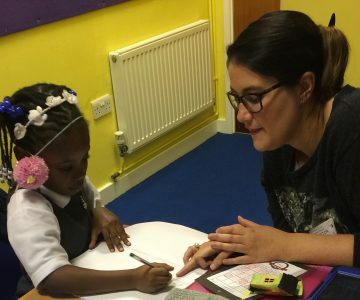 She has an infectious sense of humour and instantly gains the confidence of the children." If anyone was born to teach it is Jacky! She is a highly skilled and nurturing tutor who has a unique ability to encourage and engage her students. Jacky was the first tutor to join Learning Academies team back in 2013 and her input has been considerable. Her attention to detail and ability to facilitate positive change in each and everyone of her students is remarkable. When she is not teaching Jacky is busy caring for her wonderful family and is a talented musician. If you are looking for the world's most patient piano teacher - Jacky is your lady! "Jacky is special. She is very kind to everyone and she encourages me to keep a positive mindset even with my maths. When I don't understand something in class I secretly plan to take it to Jacky and she will help it make sense. I wish Jacky was part of our family." Alice is a keeper! A personable, approachable and flexible tutor who brings a new dynamic to the Learning Academies team. As a recently qualified teacher Alice has a refreshingly current approach to education. As a former Cambridge Graduate Alice has supported students with entrance exams to Oxbridge University as well as working for Pearson Education as an Assessment Associate. She has a great sense of humour and the ability to break down even the most complex of subjects making them manageable and understandable. Alice very quickly became a valued and popular tutor and is our 'go to' for older students who are looking for that 'extra push' towards GCSE success. "If I wasn't working with Alice at iAchieve I would be struggling with my maths GCSE. She works on the areas I find difficult and makes sure I actually understand what I am doing. At school it's just about getting it right. When I work at iAchieve it is more about understanding what I am doing. That has really helped me." Sarah is a very experienced teacher who has worked across all age groups. She has a real ability to bring creativity to her teaching and is able to adapt her approach to suit the students in her care. She is incredibly well organised, very methodical and very quickly makes a huge difference to the attainment of the children she works with. When she's not busy tutoring, Sarah is an avid reader and loves to paint, draw and write! A very talented lady! She has shared her knowledge and experience as a Governor at one of our local secondary schools and is a real asset to the Learning Academy team. "As soon as you meet Sarah you feel a sense of confidence in her ability. I have watched her support children who are struggling with a particular element of their learning. She is able to break down a problem and rebuild it in such a way that her students don't just answer correctly but, critically, understand the topic." Donna's 'can do' attitude is infectious! No challenge is too big for Donna whose positivity inspires a growth mindset in all students! Donna is a very nurturing tutor who cares greatly about her students and her desire to see them exceed their own expectations brings great results. Calm, caring, clever and kind are the first four words that one of Donna's students used to describe her. "It is impossible to work with Donna and not feel a sense of achievement. Her subject knowledge is first rate and she genuinely wants each of her students to succeed. She will always go the 'extra mile' to make this happen." Elaine joined us with a wealth of tutoring experience. 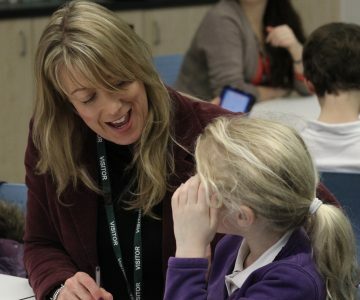 Her creative and imaginative approach to teaching is well suited to the iAchieve Programme at Learning Academies. She has a positive and optimistic approach to her work and is a great role model to the young people at her centre. She is committed to the ethos of lifelong learning and attended university as a mature student, studying primary education with Initial Teacher Training. "I admire Elaine and the journey that has led her to teaching. She has so much to offer our students and they flourish under her guidance and input. She is positive and determined - and always leads by example." Dorothy is an exceptional teacher! She is highly nurturing, creative and dedicated to making a real difference to the students with whom she works. She is wonderfully reflective in her tutoring and works hard to understand and respond to the uniqueness of each child. Having worked in schools across the world, including Ireland, Australia and Tanzania she brings a richness of experience. Her colourful career is perfectly reflected in her positive and engaging disposition. We feel very fortunate to have Dorothy as part of our Learning Academies team. Di-onne has supported children and their families in Wivenhoe for over 18 years. She has a nurturing approach and always helps her students believe in their own abilities. 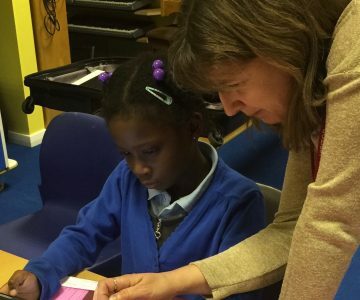 Di-onne has worked in almost all our iAchieve Centres and brings a real enthusiasm for tutoring. She has shown a real commitment to her own lifelong learning and has undertaken training in behaviour support, child protection, SENCO Support and Nurture Councelling. Di-onne has an impressive range of hobbies, including walking and training dogs! She is a keen photographer and is part of the technical crew at the West Cliff Theatre in Clacton. "Di-onne is a natural educator. She has the ability to break down a subject and reconstruct it in so many different ways! 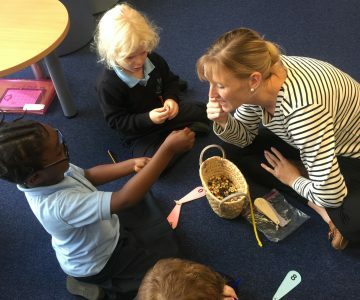 She knows how children 'tick' and is able to challenge her students, encouraging them to work outside of their comfort zone but, at the same time, still feel supported. Di-onne is capable and confident." Michelle joins the Learning Academies team with an incredible breadth of educational experience. Her personal beliefs and values are a perfect match to those of the Academy. 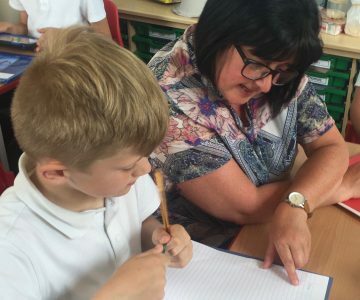 She is committed to developing 'the whole child' and very quickly has the ability to work out what motivates her students, encouraging them to use this to help them achieve. She is a firm believer in the importance of maintaining a positive mindset and has studied Neuro Linguistic Programming up to Masters level. Michelle loves to spend time on the water and spends many a weekend canoeing! She also plays table tennis on a weekly basis. "Michelle impressed me from the outset with her clear desire to 'make a difference'. She is a highly effective tutor who teaches not just the subject at hand but also the best way to approach learning. The impact she makes goes beyond the subject knowledge she imparts and instils a positive approach that stands students in good stead for later life. A great tutor!" Lesley is a highly qualified and extremely experienced teacher. Her educational background is first rate. She has taught in a range of schools as well as supporting young offenders at Warren Hill Young Offenders Institute. In Lesley we have a nurturing and inspirational tutor! She sets the highest possible expectations for her students and is a natural motivator. She encourages independence and instils the confidence needed to enable students to 'take a risk' with their learning. Her love of drama and art give a creative edge to her teaching. "Lesley is a highly effective tutor. She has the ability to really understand children and young people. She takes the time to evaluate their understanding and will work tirelessly to find the best way to raise attainment. A huge asset to our team." Energetic and passionate in her tutoring. Lina is a natural educator. 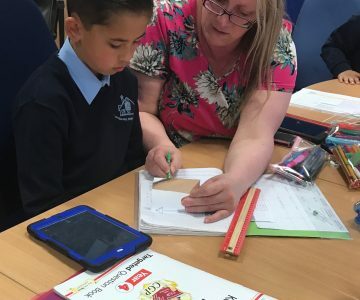 Having taught and supported in a wide range of schools across the county Lina has developed a first rate subject knowledge and the ability to share that with her students is excellent. Lina has a good sense of humour and very quickly builds strong and positive relationships with those she tutors. "Lina is someone who I'd describe as being born to teach. Students in her group make excellent progress and really believe in their own abilities. She a great role model for our young learners and encourages the children to 'take a risk' in their learning and to step outside of their comfort zones." Cat is a fresh and inspiring tutor. Her natural zest for life and her ability to engage young people provides the perfect foundation for her work with Learning Academies. She has the ability to inspire and challenge her students and it is impossible to not respond to the expectations she sets. Her belief in the uniqueness and talents of young people , inspires students to work hard and take risks with their work, confident that they are well supported. Cat has worked alongside students and adults who have English as an additional language and is well suited to this work. 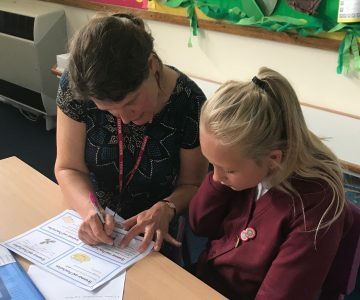 As a healthy eating advisor for One Life Suffolk and in her role as an Independent Advisor, Cat has worked to support families, helping young people to stay in education and improve their attendance, attainment and wellbeing. "Cat is my tutor and she is fabulous. She is fun and helps me to understand things - even things that I didn't understand before. She is very patient if you don't understand things straight away." Alicia is a natural teacher. Her positive and enthusiastic approach to life drives her work with the students and this ability to motivate and inspire even our least confident of learners has proven a huge asset to iAchieve. Alicia has a real commitment to excellence. 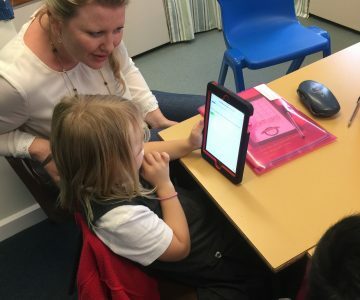 We love the way she is able to 'get on a level' with her students, build their confidence and very quickly move them to a position whereby they are assertive and engaged learners. Her work as a PGCE Student lecturer in Childcare and Education was well suited to her excellent interpersonal skills. "Alicia is such an approachable tutor. Some children join us with a genuine fear of making mistakes and are reluctant to challenge themselves. Alicia has a way of putting people at ease and helping them to see things differently. Once you give a child a love of learning you can achieve real change. Alicia does that." Any child fortunate enough to be tutored by Clare will find themselves in the hands of a highly qualified and experienced teacher. She is calm, compassionate and incredibly patient! She takes the time to plan meticulously for her learners and will always go the extra way to ensure they make excellent progress. Clare is always 'up for a challenge'. She has a great outlook of life and is already a published children's author! When time allows, Clare volunteers with Sudbury Library Friends and Suffolk Wildlife Trust adding this to her passion for travel, painting and sewing! "I was quite nervous when I started on the iAchieve Programme. When I met Clare I felt a bit happier. 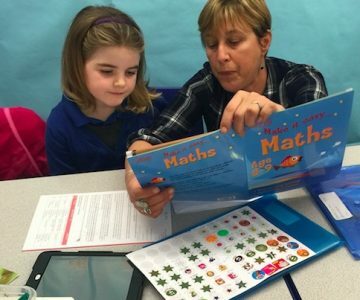 She helps me with maths and I used to think I couldn't do it and now I can." We were delighted to welcome Natalia to the iAchieve Tutoring Team. She is a highly qualified and experienced teacher and one of our most talented linguists! Natalia is fluent in Romanian/Moldovan, Russian, Ukrainian and French. This is of great help to many of our students who join the British education system from a wide range of ethnic backgrounds. She holds an MLitt and MA in British Cultural Studies as well as a PhD in literature from Essex University. Natalia brings a genuine commitment and consistency to her tutoring. She is results driven and sets challenging targets for her students. Her quiet ability to win their confidence, combined with her caring approach mean these goals are met and frequently exceeded. "Natalia brings a unique set of skills to iAchieve. Her quiet and calm approach brings great results! She is a great role model for our students and her own commitment to lifelong learning is inspiring."